A significant part of understanding how people use geographic information and technology concerns human cognition. 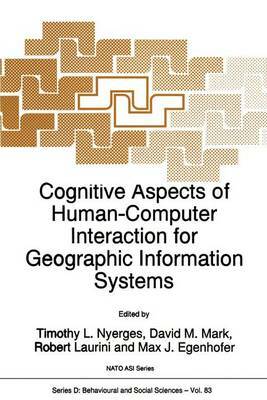 This book provides the first comprehensive in-depth examination of the cognitive aspects of human-computer interaction for geographic information systems (GIS). Cognitive aspects are treated in relation to individual, group, behavioral, institutional, and cultural perspectives. Extensions of GIS in the form of spatial decision support systems and SDSS for groups are part of the geographic information technology considered. Audience: Geographic information users, systems analysts and system designers, researchers in human-computer interaction will find this book an information resource for understanding cognitive aspects of geographic information technology use, and the methods appropriate for examining this use.